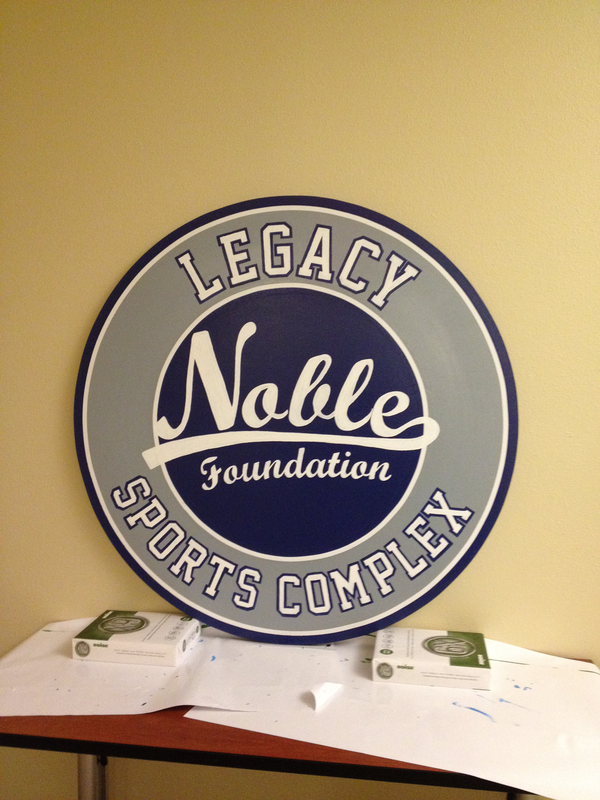 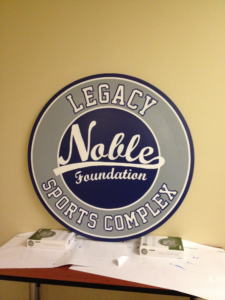 The 6 foot sign was hand painted in 3 days for the opening of The Noble Foundation's Legacy Sports Complex. 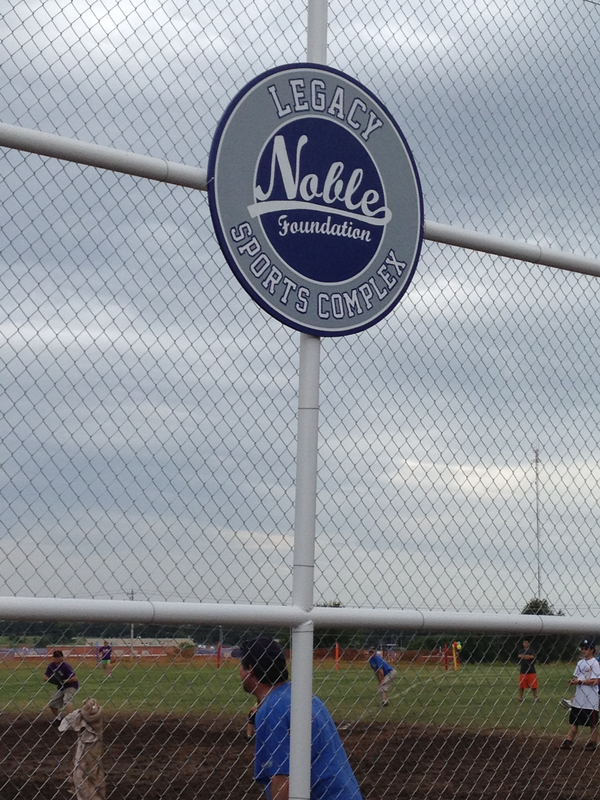 The sign is hung each year at the annual company-wide softball tournament. 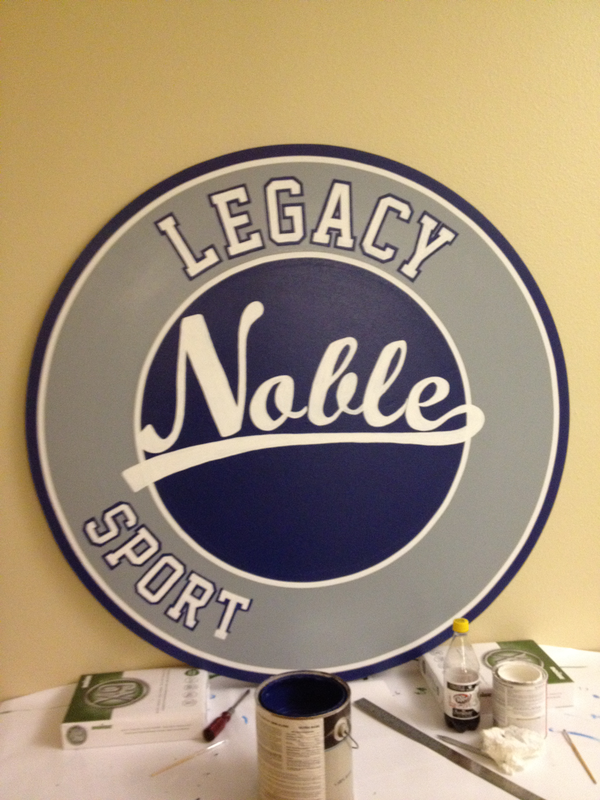 The design was hand drawn with pencil and then painted on the board.